Photo tours are slightly more expensive than equivalent non-photographic birding tours because we keep three seats empty in a 7-seater vehicle — for camera gear. Price: US$17,091 / £13,926 / € 16,122 per person sharing. 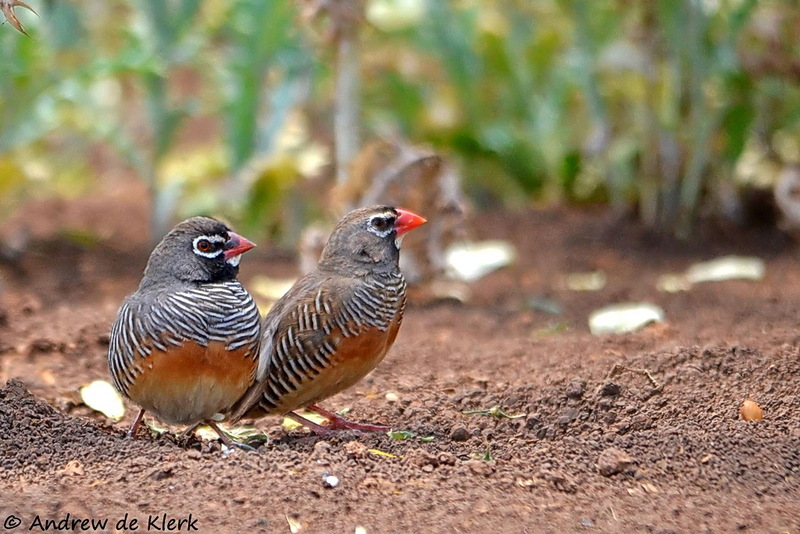 This is a photographic birding tour that gives you time in one of Africa’s most photogenic countries. Kenya has a unique and diverse array of habitat types, ranging from the snow-capped mountains at about 5000 meters above sea level, tropical lowlands, highland forests, vast savannas, and rolling plains and grasslands to the coastal dry forests and the shores of the Indian Ocean. There is a total of 1100+ bird species recorded on the country’s checklist from its 62 Important Bird Areas (IBAs), with 117 of these being migrants from the Eurasian region. 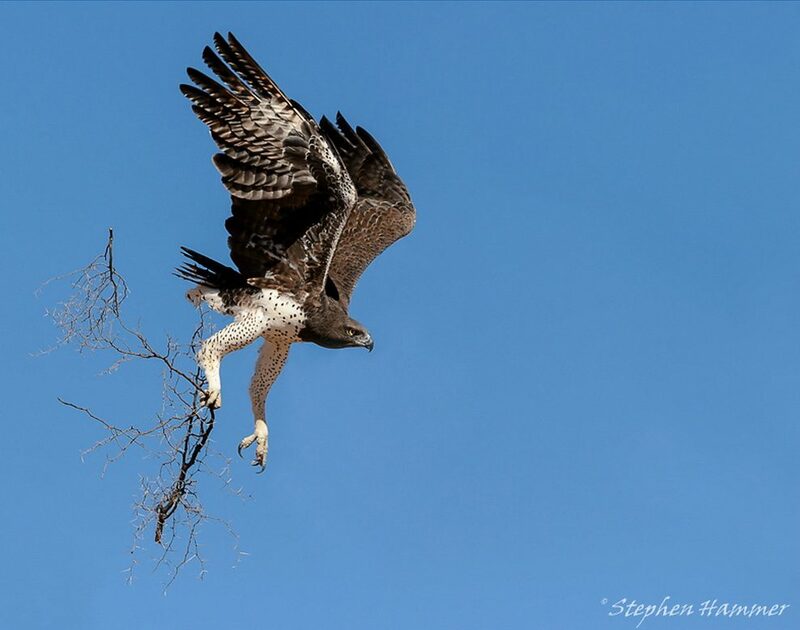 This 21-day tour will enable us to find around 600 bird species and will take us through many spectacular habitats. We’ll experience some fantastic birding and truly excellent large game viewing, so there will always be something to draw the eye – and the lens. 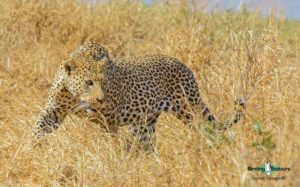 We’ll have a chance to walk in the forests and drive among the many large game animals that the plains of East Africa are famous for. This tour is particularly designed for photographers, providing awesome and rather easy photographic opportunities and allowing time for brilliant bird and wildlife shots. At your arrival at the Jomo Kenyatta International Airport (JKIA) in Nairobi you will be met by our drivers and the tour leader and transferred to the Nairobi Serena Hotel. We leave Nairobi soon after breakfast to avoid the bustle of the morning rush hour and drive northwards through the Central Kenya Highlands. On the way we’ll see the pineapple plantations of Thika and the neat subsistence farms of the Kikuyu. We travel between the Aberdare Range and Mount Kenya, and if it is clear we may get a chance to see the second-highest mountain in Africa with its snow-capped peaks. 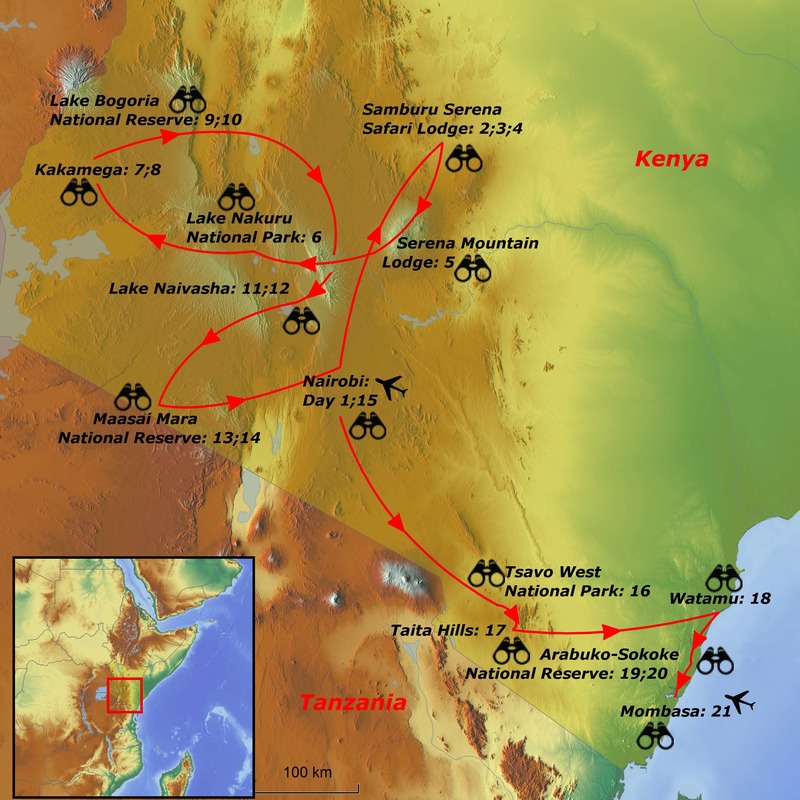 We proceed past the Mount Kenya region to the semi-arid Northern Frontier District. Our hosts here are the Samburu people, who are pastoralist cattle herders like their brothers in the south, the Maasai. On the drive we pass through spectacular scenery, and the grasslands along the roadside are a great place for Black-winged Lapwing, Black-winged Kite, Dusky Turtle Dove, Greater Blue-eared Starling, Cape Crow, Long-tailed Widowbird, and Speke’s Weaver. We cross the equator into this unique African wilderness, arriving in time for lunch at the Samburu Serena Safari Lodge. We’ll take an evening drive in search of the unique birds and animals in Samburu National Reserve. Samburu is one of the most exciting reserves in Kenya and possibly East Africa, and we will spend two full days here. 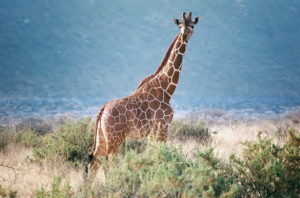 The semi-desert habitat and the rich woodlands along the Ewaso Ng’iro River are teeming with wildlife. 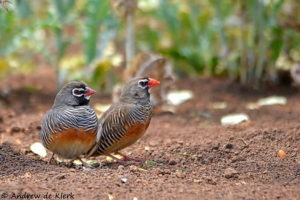 Exploring this fantastic reserve will always produce the most overwhelming array of bird species, such as Hooded Vulture, Bateleur, Martial Eagle, African Hawk-Eagle, Crested Francolin, Yellow-necked Spurfowl, Vulturine Guineafowl, Buff-crested and White-bellied Bustards, Black-faced and Lichtenstein’s Sandgrouse, Red-bellied Parrot, African Scops Owl, Pearl-spotted Owlet, Somali Bee-eater, Purple Roller, Von der Decken’s Hornbill, Red-and-yellow Barbet, Bearded Woodpecker, Pink-breasted Lark, Bare-eyed Thrush, Rosy-patched Bushshrike, Hunter’s and Black-bellied Sunbirds, Golden-breasted and Fischer’s Starlings, Donaldson Smith’s Sparrow-Weaver, and Cut-throat Finch, among others. Mammal life is also prolific, with many species not seen elsewhere on our tour. Just a few of the many possibilities are Olive Baboon, Vervet Monkey, Common Dwarf Mongoose, Grevy’s Zebra, Reticulated Giraffe, Kirk’s Dik-dik, Common Waterbuck, Gerenuk, and the magnificent Beisa Oryx. We have morning and evening game drives, searching for different species of birds and mammals in this fantastic park. We depart after breakfast for Serena Mountain Lodge on the slopes of Mount Kenya, while we’ll continue to bird Samburu en route before we get to the park entrance. We’ll be keeping an eye out here for Long-tailed and Red-collared Widowbirds along the roadside. We should arrive at our lodge at lunchtime. From Serena Mountain Lodge, looking down on a waterhole and salt-lick, we can watch the many African Elephants, African Buffalos, Bushbucks, and Common Warthogs that are attracted to the minerals. In the evening we take a bird walk in the forest around the lodge. In the morning we’ll bird the forest around Serena Mountain Lodge. Here we’ll be looking for Red-fronted Parrot, White-starred Robin, White-headed Wood Hoopoe, Narina Trogon, Cabanis’s Greenbul, and any of the other many species we should come across here. We depart after breakfast for Lake Nakuru National Park, allowing time to search for several key species along the way, with a stopover at Thomson’s Falls at Nyahururu. Nyahururu is one of Kenya’s highest towns, at 2360m above sea level. Just outside the town lies Thomson’s Falls on the Ewaso Narok River. It falls 72m, with the mist feeding the dense forest below. At Thomson’s Falls we’re likely to see Chestnut-winged Starling, Slender-billed Starling, Rock Martin, and Grey Cuckooshrike around the scenic waterfall. In the early afternoon we’ll arrive at Lake Nakuru National Park, home to one of the greatest birding spectacles on earth! Huge numbers of Lesser Flamingos feed in the shallow alkaline water, sometimes up to a million, with smaller numbers of Greater Flamingos. Sometimes the Lesser Flamingos migrate to other Rift Valley saline lakes due to shortage of algae (spirulina), which is their main food source. If there is heavy rain we will check the other lakes for this species. Lake Nakuru National Park was recently named an Important Bird Area (IBA) by BirdLife International, due to the huge bird population and number of species in this magnificent park. 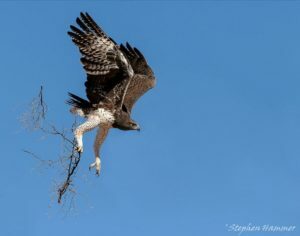 A large rocky escarpment en route is a favorite roosting spot for Mackinder’s Eagle-Owl, the local subspecies of Cape Eagle-Owl, and we may be able to find this highly sought-after bird hidden in a dusty crag. The Acacia scrub in the park is a favorite haunt for Little Rock Thrush, Mocking Cliff Chat, Pale Flycatcher, and Purple Grenadier. Exploring the Acacia woodland and the lakeside marshes we will no doubt come across many wonderful avian delights, such as Great White Pelican, White-breasted Cormorant, African Spoonbill, African Fish Eagle, African Harrier-Hawk, Hildebrandt’s Francolin, Grey-headed Gull, Levaillant’s Cuckoo, White-browed Coucal, Green Wood Hoopoe, Red-throated Wryneck, African Grey Woodpecker, Black Cuckooshrike, Anteater Chat, Grey-backed Fiscal, Brown-crowned Tchagra, and African Firefinch. Mammals are also quite common in the park, and this is one of the few places in East Africa where both the endangered White and Black Rhinoceros can be found. 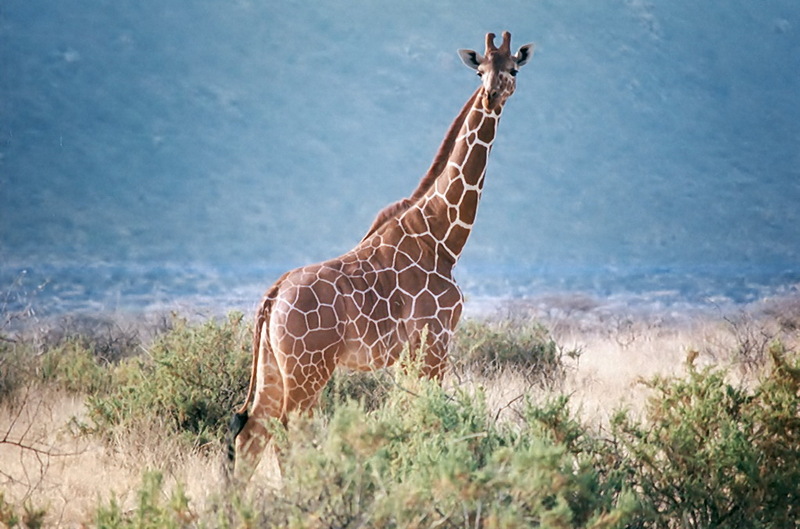 Some of the other mammals we hope to encounter are Rothschild’s Giraffe and Bohor Reedbuck. We’ll make a pre-breakfast bird walk, and after we’ve eaten we’ll drive to Kakamega Forest National Reserve, allowing time to search for several key species along the way. We should arrive at Rondo Retreat in time for lunch. The Kakamega Forest is Kenya’s only true tropical forest, and this area is alive with birds. We’ll have a full day tomorrow to explore this bird-rich area. 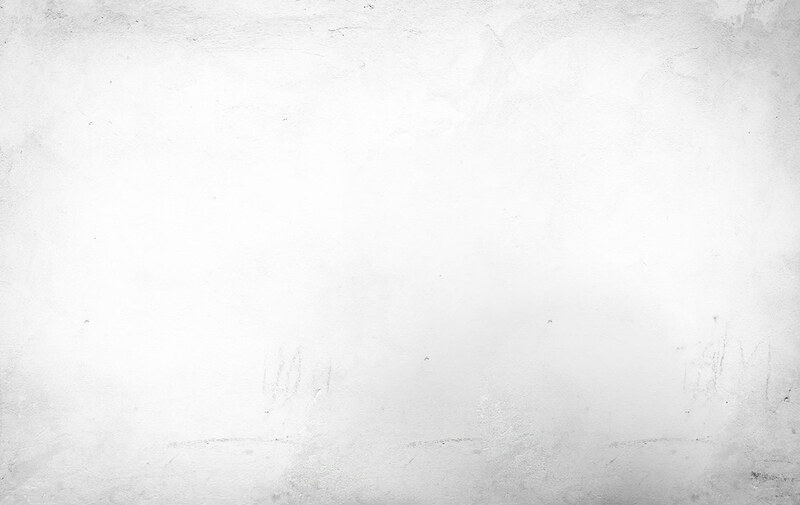 We will spend this day enjoying the sights and sounds of this unique forest. We’ll walk the numerous forest trails here in search of many of Kakamega’s 194 bird species. 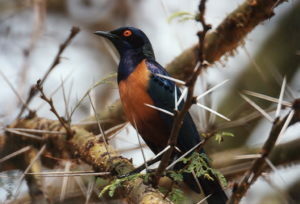 The forest is West African in character, and many birds here are not found elsewhere in Kenya, reaching the eastern extent of their range here. The rainforest here is a haven for butterflies and other insects, along with the vast avian riches.  In this tropical greenhouse we’ll get a chance to see Great Blue, Ross’s, and Hartlaub’s Turacos, gemlike African Emerald Cuckoo, Narina and Bar-tailed Trogons, Jameson’s Wattle-eye, and the cacophonous Black-and-white-casqued Hornbill. 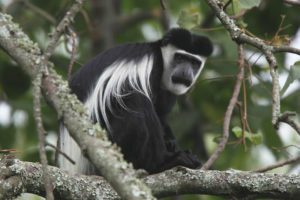 A range of primate species such as Blue and Red-tailed Monkeys and Eastern Black-and-white Colobus, as well as DeBrazza’s Monkey, can also be seen in this forest. Forty percent of the total butterfly population of Kenya is found in Kakamega Forest as well. We’ll also get a chance to experience more of the diverse African culture of the Luhya people. We’ll be up early in the morning to have a walk in the compound before we go for breakfast. After breakfast we load up and head for Lake Bogoria. This drive takes us through the beautiful scenery of the Kerio Valley. We stop in the valley for a picnic lunch and do some birding, looking for White-crested Turaco and Orange-breasted and Grey-headed Bushshrikes, among others. We arrive at Lake Bogoria in the afternoon and have a chance to go birding as we enter Lake Bogoria National Reserve. The lake has only one river inlet, hence it is not affected by heavy rains, which can dilute the spirulina. Therefore we have a good chance to see Lesser Flamingo here when Lake Nakuru is diluted by heavy rain. We also have the opportunity of visiting the hot springs. The lake has woodland dominated by Acacia and Ficus, and to the north is a papyrus swamp. Birds unique to this area include massive congregations of Lesser Flamingos and a few Greater Flamingos too. In the surrounding parkland and rock cliffs we can find Steppe Eagle, African Fish and Tawny Eagles, Black-necked Grebe, Three-banded Courser, Slender-tailed Nightjar, Greyish Eagle-Owl, Verreaux’s Eagle-Owl, Lichtenstein’s Sandgrouse, White-bellied Canary, Mocking Cliff Chat, Brown-tailed Rock Chat, Golden-breasted Bunting, Emerald-spotted Wood Dove, Common Kestrel, Hemprich’s and Jackson’s Hornbills, Little and White-throated Bee-eaters, Speckle-fronted Weaver, Northern Masked Weaver, White-billed and White-headed Buffalo Weavers, Gabar Goshawk, Dark Chanting Goshawk, Cardinal, African Grey, and Nubian Woodpeckers, Red-and-yellow and D’Arnaud’s Barbets, Purple and Lilac-breasted Rollers, and many others. We’ll take an early morning walk to check the cliffs for Hemprich’s Hornbill, Verreaux’s Eagle, and Rock Hyrax, the eagle’s main pray. With the help of the local naturalist we’ll walk along the famous Tugen Hills, known for their great diversity of raptors, owls, and interesting passerines. We return to the lodge for breakfast and later drive to Lake Baringo, where we use motor boats to navigate the lake for waterbirds. Herons are a main target here, with Goliath and Purple Herons as well as Great and Little Egrets. We get back to the lodge for lunch and will spend the afternoon birding the grounds. After breakfast we depart for Lake Naivasha, arriving at the Elsamere Lodge and Conservation Centre, the former home of George and Joy Adamson, the latter of Born Free fame, in time for lunch. After lunch we head further south to Lake Oloidien. This is a volcanic crater lake found at the south-west corner of Lake Naivasha. It separated from the main lake in 1979. Since then it gradually became saline, increasing the level of the spirulina, a blue-green freshwater alga, which attracts Lesser Flamingos, since it forms their major food source. The birds first discovered this site in July 2006 and have used this area as a feeding site ever since. We wake early and do some morning birding around the center and the lodge before breakfast. Elsamere is a birdwatcher’s paradise; over 200 bird species can be found in and around its wonderful lakeshore grounds. After breakfast we head for Crescent Island Game Park. This is a game sanctuary on the eastern side of Lake Naivasha. It was created in 1988, and following a sudden drop in water levels in 2000 Crescent Island became part of the mainland and is now a peninsula. Big game, including Plains Zebra, Thomson’s Gazelle, Impala, and Masai Giraffe are all up-close. 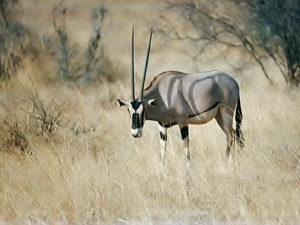 Other wildlife includes Defassa Waterbuck, Common Eland, and Blue Wildebeest. This park supports a wealthy variety of terrestrial bird life as well. Among the birds around the lake we might find Black Crake, Red-knobbed Coot, African Jacana, Black-headed Heron, Squacco Heron, and Marabou Stork. We’ll have a chance to do some night birding around the lodge for Verreaux’s Eagle-Owl and Northern White-faced Owl. We take an early-morning bird walk before checking out and departing for the amazing Maasai Mara National Reserve. 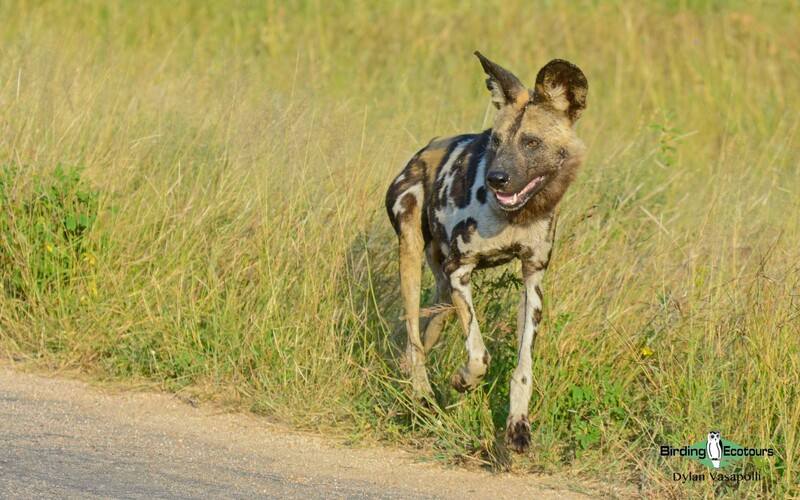 This drive will already present some special rewards, with all kinds of great birds and game animals – Grey Crowned Crane, Secretarybird, Blue Wildebeest, Thomson’s Gazelle, Plains Zebra, Impala, Black-backed Jackal, Common Duiker, Vervet Monkey, and even Masai Giraffe – roaming freely in the field and using the road together with the traffic, long before we even enter any game reserve. We’ll arrive in time for lunch and then take a late afternoon game drive for some of the big game animals and local birds like Kori Bustard, Secretarybird, and several of the seven species of Vulture here, which include Egyptian, Hooded, Rüppell’s, Lappet-faced, and White-headed. We have a full day of birding in the park with a picnic lunch. We’ll visit the Mara River, hoping to see part of the great wildebeest migration crossing the river, but this can of course not be guaranteed. 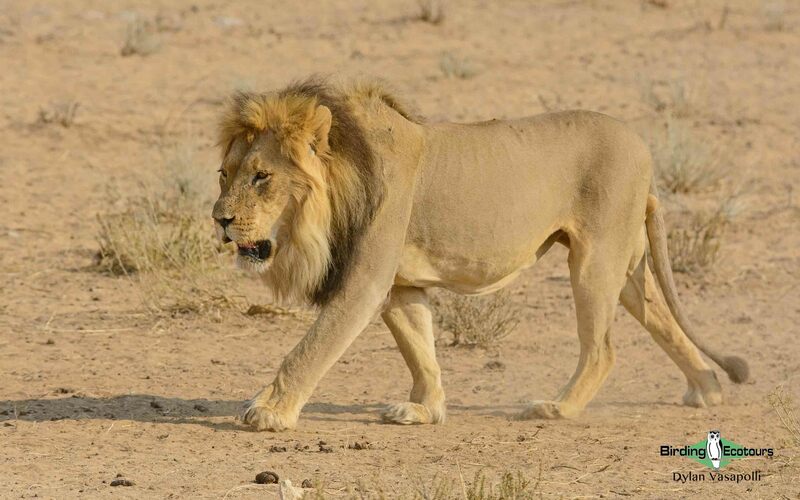 We’ll also check for the “big five”: African Elephant, Lion, Leopard, rhinoceros, and African Buffalo. 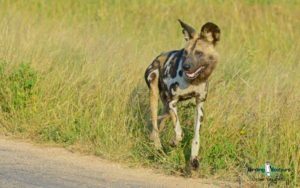 We will also see Hippopotamus and other plains game like Thomson’s Gazelle, Topi, Masai Giraffe, and Black-baked Jackal. 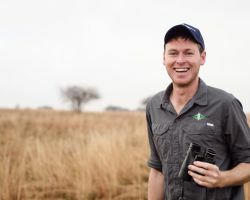 Among the birds in the area we’ll be looking for Helmeted Guineafowl, Red-necked Spurfowl, Kori Bustard, White-bellied and Black-bellied Bustards, Secretarybird, Lappet-faced, White-backed, Hooded, and Rüppell’s Vultures, and many other raptor species like Martial, Long-crested, Tawny, and Wahlberg’s Eagles, Black-chested Snake Eagle, Bateleur, Shikra, and African Goshawk. Several species of bee-eaters are possible, as well as kingfishers, rollers, cuckoos, and a profusion of starlings and finches. The grasses and woodlands are also home to apalises, cisticolas, francolins, pipits, and larks. 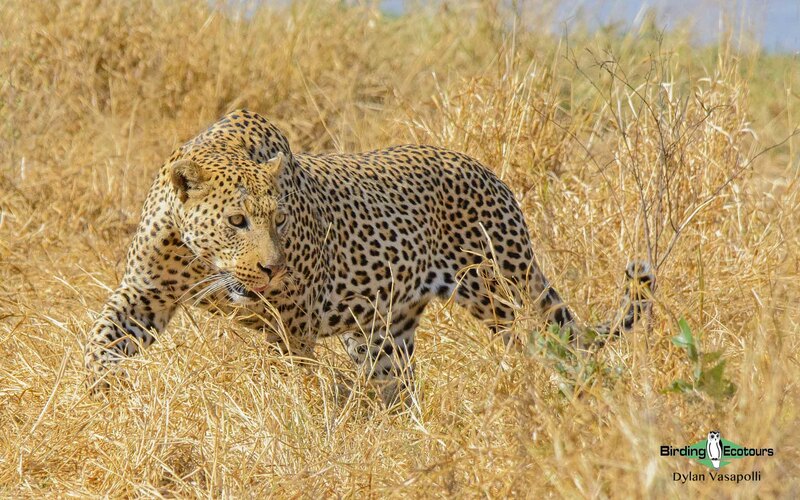 We depart soon after breakfast from the Maasai Mara and have a game drive en route in the rolling savanna grass of the Mara as we proceed to Nairobi. We stop at a sudden, surprising, stunning outlook from a viewpoint at the top of the escarpment over the width of the Great East African Rift Valley, with Rock Hyraxes also enjoying the view. We arrive in Nairobi in time for lunch, and in the afternoon we can visit the National Museum and the bird gallery. After breakfast we proceed to Tsavo West National Park, birding along the way. The Tsavo habitat is a relatively dense thicket of savanna dominated by Acacia and Camiphora bush with baobabs, grassy plains, riverine woodland, and the Mzima Springs. We arrive in time for lunch at our accommodation, Ngulia Safari Lodge. 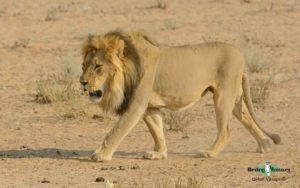 In the afternoon we take a game drive in the park, which supports a large number of big game, such as African Elephants, rhinoceros, Lion, huge herds of African Buffalo, and more. There will be a large number of new species for us here, including Splendid and Hildebrandt’s Starlings, Common Ostrich, Hartlaub’s Bustard, African Grey and Northern Red-billed Hornbills, night birds including Donaldson Smith’s and Freckled Nightjars, Pearl-spotted Owlet and African Wood Owl, Black and Abyssinian Scimitarbills, and several species of larks, pipits, chats, and cisticolas, among others. We’ll also visit Mzima Springs with an underground water hide, where you will enjoy watching hippos and fish as well as Malachite and Grey-headed Kingfishers. We will bird in the park en route to the forests of the Taita Hills, where we hope to see the endemic “Taita three”: Taita Apalis, Taita White-eye, and Taita Thrush. Other specialties here include Striped Pipit, Yellow-throated Woodland Warbler, Stripe-cheeked Greenbul, and more. We leave for the Indian Ocean coast to the beach resort of Watamu (meaning sweat). Today we relax in the cool tidal breeze on the snow-white sandy beaches after our adventurous journey. Today we take a short drive to this unique natural area, where we’ll be walking trails around the forest. It is one of the last remnant indigenous forests in Kenya, the largest and most intact coastal forest in East Africa, and by far the largest remnant of the forests that once dominated Kenya’s coastal fringe. The Arabuko-Sokoke Forest supports remarkable biodiversity. It contains at least three distinct vegetation types, which provide the habitat for several endangered species, and has a very high number of species in relation to the size of the area. 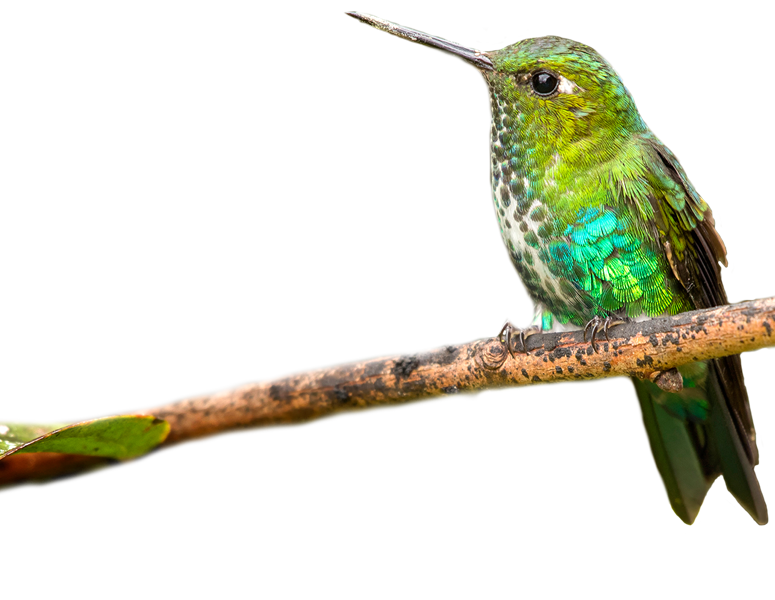 Twenty percent of Kenya’s bird species and about thirty percent of its butterflies have been recorded in this small part (0.07%) of Kenya. At least 24 rare or endemic bird, mammal, and butterfly species are restricted to this stretch of coast. This high proportion of endemic species, some known only from Arabuko-Sokoke Forest, makes the forest a key part of the East African Coastal Forests Endemic Bird Area. The forest holds some rare endemic species like Sokoke Scops Owl, Sokoke Pipit, and Clarke’s Weaver, as well as other species like Amani Sunbird, Fischer’s Turaco, Crested Guineafowl, Spotted Ground Thrush, Trumpeter Hornbill, Chestnut-fronted and Retz’s Helmetshrikes, Black Cuckooshrike, Scaly-throated Honeyguide, Eastern Nicator, Mombasa Woodpecker, Mangrove Kingfisher, Blue-mantled Crested Flycatcher, and Black-bellied Starling. Mida Creek, part of a UNESCO Biosphere Reserve, is a large inlet that opens into the sea south of Watamu and rises and falls with the tides. Mida Creek is one of Africa’s largest mangrove creeks and a very important part of the marine ecosystem in the Watamu/Sokoke World Biosphere Zone. The mangrove roots provide a rich source of food for fish, crabs, shrimps, and oysters. The fish and crustaceans then provide the food for Mida’s legions of birds. Mida Creek is an excellent birdwatching area. Thousands of migratory birds regularly visit the creek, and Crab Plover is its star attraction. We walk on the boardwalk to Mida village through the mangrove habitat, looking for birds like Dimorphic Egret, Yellow-billed Stork, African Spoonbill, Fulvous Whistling Duck, Water Thick-knee, and African Sacred Ibis, and if we’re lucky we may find Crab Plover. After breakfast we transfer to the Moi International Airport in Mombasa or to the airport in Malindi for your flights back home.